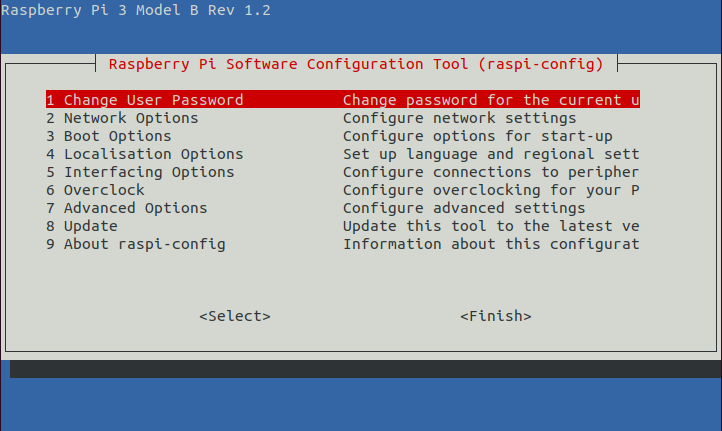 This guide will demonstrate how to setup your Pi, how to burn the Raspbian images, how to establish connection, and more. Raspberry Pi has become household name for us developers, not only for prototyping and educational purposes, but also for problem solving and quick solutions in businesses and production environments. Beyond the small size, low cost, and fully operational Linux OS, the Raspberry Pi carries with it the distinct advantage to interact with other peripherals (sensors, actuators, and beacons) through GPIO pins (General Purpose Input/Output Pins). This functionality will allow you to code pretty robust hardware applications without being an expert in embedded electronics. To learn more about the Raspberry Pi, check out their official page here. 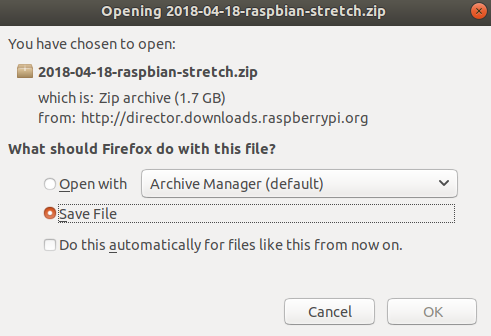 To begin with the Raspberry Pi, you first need to download and burn the Raspbian image onto a microSD card. Then, place it in the Raspberry Pi to start working interacting and developing your IoT solution. To setup your Raspberry Pi, simply follow the below steps closely, paying attention to any special notes along the way. To begin, download the Raspbian image provided by the Raspberry Pi Download page. NOTE: You can also setup your Raspberry Pi with other Official images. Further, alternative distributions and images are available from third-party vendors. You can refer to this page to check out some other images supported. 2. Now with the image downloaded, you need to unzip the .zip file previously downloaded which contains the image file (.img ) to be written into the microSD card. See below for how to unzip your file. Etcher is a graphical SD card writing tool that works on Mac OS, Linux, and Windows and provides a friendly interface making it an easy option for most novice users. A greatest feature of Etcher is that it support writing images directly from the zip file, without needing unzipping the file. Download and Install the Etcher. Insert the microSD card into the SD card adapter. With the SDcard now assembled, place the card with adapter into the SD card reader of your computer. Open Etcher and select the image previously download to write to the SD card. Select the SD card to write the Rasbian image. Check the image and SD card selected. Then, press "Flash!" to start writing data to the SD card. Now with the image burned into the SD card, it's time to establish the connection and access the Raspberry Pi. 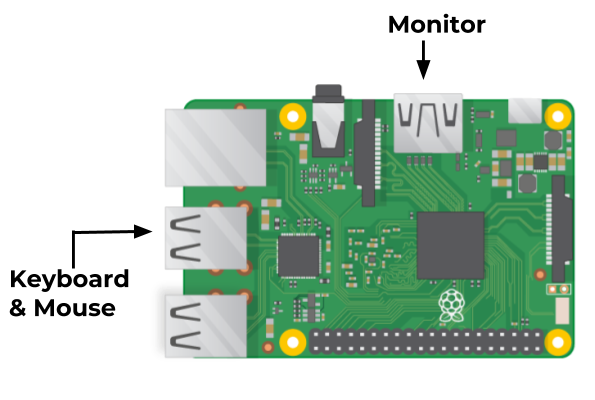 The Raspberry Pi will let you establish the connection to any network through a wired connection (Ethernet) or wireless connection (WiFi). Now let's talk about the which type of connection is the most suitable based on the method desired to be use to access the Pi. The Desktop interface is a friendly interface of the Raspbian image similar to the user experience when working with your PC. For this, you must connect a monitor, keyboard, and mouse to the Raspberry Pi as shown below. With everything connected to the Pi, boot the Raspberry Pi by connecting it to a standard AC power outlet. Once the board boots properly you will see a friendly desktop Interface displayed on the connected Monitor and, at this point, you now have access to the Pi! Next, to establish connection between your Pi and the Internet, locate the WiFi icon in the upper right-hand side of the display and select the correct network you can communicate with and assign the password. This process is the same as if you were working with any common PC. NOTE: If you desire to establish a wired connection, just plug in an Ethernet cable between your router and the Raspberry Pi. For more information of the Desktop interface, simply refer to this guide. Don't have an extra monitor, keyboard, nor mouse to boot your Pi? Don't worry! You can access the Raspberry Pi remotely from another computer connected to the same network as the Pi using your computer's terminal and SSH. First, you need to enable the SSH interface. To do this, you must create an empty file called "SSH" located in the boot partition of the SD card which contains the Rasbian image. For additional information to creating an SSH within the boot partition, reference to step "3. Enable SSH on a headless Raspberry Pi (add file to SD card on another machine)" from this official guide by Raspberry Pi. After your SSH has been created in the boot partition continue with this tutorial to establish access to your Pi. Establish a wired-connection by connecting an Ethernet cable between your router and the Raspberry Pi. See below for WiFi configurations. Boot up the Raspberry Pi by connecting it to an AC power outlet. Scan the network to find the IP address assigned to the Pi. We highly recommend using Fing, a clutch App for identifying IP Addresses. Fing can be quickly found in the Google Play Store and Apple's App Store. Once you have access to the Raspberry Pi, update the list of available packages and their versions to begin designing your IoT solution with everything up-to-date. Now you are able to setup the Raspberry Pi remotely without needing an extra monitor, keyboard and mouse! So, in case of use SHH to access the Pi at first the wired connection is required because we are going to access to the Pi using the IP Address assigned when the wired connection was established. Once you access to the Pi, you can simply setup the WiFi connection using a couple of commands in this guide to learn how to do it. For more information about SSH, refer to this guide. 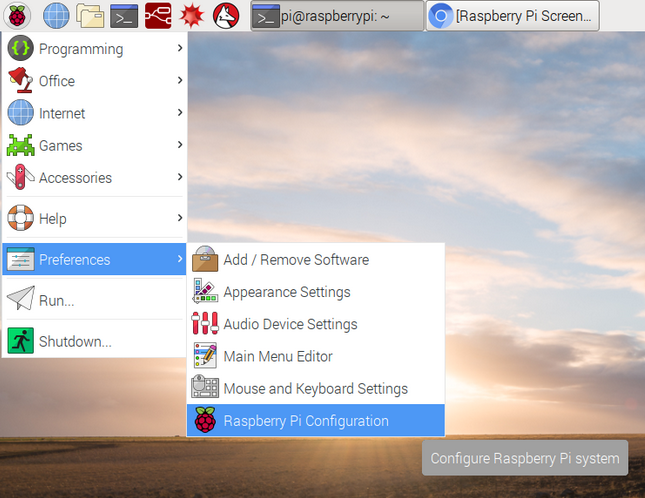 In the following window you will be able to start configuring your Raspberry Pi based on your needs.